Fernando Alonso and the Toyota No.8 car failed to convert pole into race victory at the 6 Hours of Fuji. The Toyota No.8 car had been awarded top spot on the starting grid after the No.7 car saw their lap time deleted due to Jose Maria Lopez speeding in the pit lane. However, come race day, the No.7 car responded in style with an 11-second victory over the No.8 in a race which the Toyotas unsurprisingly dominated. The No.1 Rebellion R-13 – driven by Andre Lotterer, Neel Jani and Bruno Senna – were best of the rest in P3…four laps down. From P8 on the grid, the No.7 car was back in pursuit of the pole-sitters by the end of the second lap on a wet Fuji track. And, by the time Alonso was in the No.8 car after stints from Kazuki Nakajima and Sebastien Buemi, the Spaniard found himself 20 seconds down on the No.7 and experiencing a lack of balance which resulted in a rear deck change before Nakajima took over the wheel again. But, the No.7 car would power onto victory and gave Kamui Kobayashi, Mike Conway and Lopez their first win of the 2018/19 superseason. Alonso, Buemi and Nakajima remain top of the Drivers’ Championship with 84 points apiece, but Kobayashi, Conway and Lopez have narrowed the gap to 13 points after victory in Fuji. Toyota, meanwhile, have extended their Constructors’ Championship lead to 14 points over Rebellion Racing. 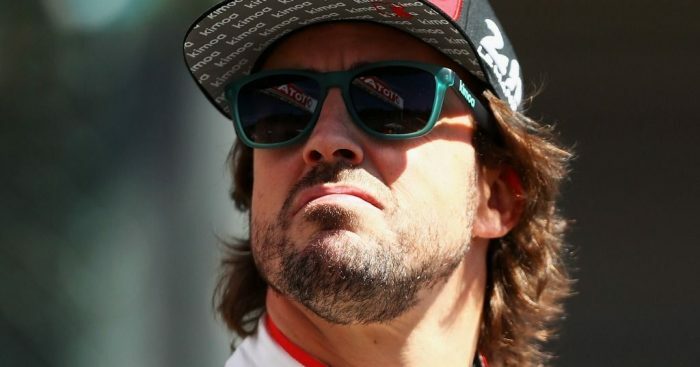 Next up on Alonso’s busy schedule is back-to-back Formula 1 weekends in the USA and Mexico before a triple-header of F1 and WEC action comes his way in November.